The Carradice Super C A4 Pannier is a quick clip pannier and shoulder bag all in one. Classic pannier footprint with ease of detachment and portability. Made of super tough cotton duck material, this bag will take pretty much take anything that comes its way. The 18 liter main compartment can hold a medium size laptop in a sleeve as well as some extra essentials for an urban ride to work or a trip to your local espresso hangout. 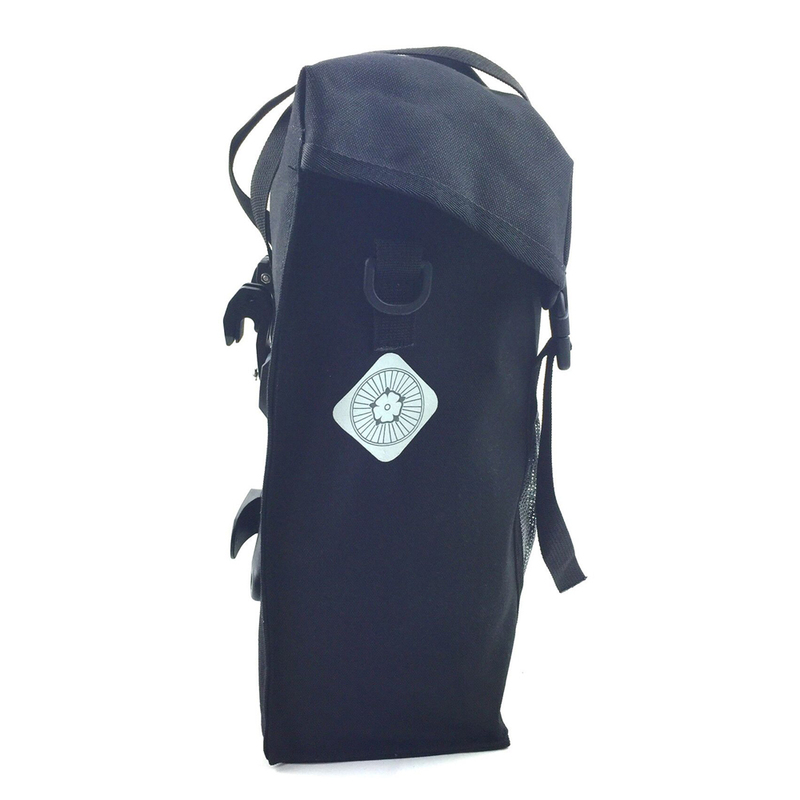 The generous outside mesh pocket will hold a water bottle or other items for quick access. While the bag’s fabric is waterproof, the bag is not watertight. If you’re riding in inclement weather, it’s a good idea to make sure that moisture sensitive items like electronics get some kind of extra measure of protection. Single Super C A4 pannier bag and a shoulder strap.